Native artists are frequently categorized along a binary of traditional or non-traditional, sometimes rigidly so, defined not only by outside forces but also the communities and backgrounds from which they come. For cultures and communities to move forward, however, the maintenance of tradition hinges not only on the capacity to preserve the old, but als o the ability to innovate and develop. From the introduction of silver by Navajo metalsmiths, and the development of Plains beadwork out of quillwork, to the creation of the first paintings by Pueblo women artists, traditions constantly evolve out of the unbreakable spirit of innovation, pulling the past into the present and driving the present into the future. This year’s Speaker Series focuses on the ways that artists create new traditions and ways of thinking vis-à-vis their roles as creatives. Through a series of intimate conversations, this series takes a look at the inseparable relationship between tradition and innovation. We dedicate this series to all the visionaries and creative thinkers out there who have pushed and continue to push the boundaries and limits of visual culture in the name of maintaining and creating tradition. Thank you. All discussions will be held at the School for Advanced Research, 660 Garcia Street, Santa Fe, NM 87505 from 6:00-7:30pm. These events are FREE and open to the public. Click on individual events for more information. Metalsmith Nanibaa Beck and potter Jared Tso explore tradition, innovation, and the in between with Professor David Martinez. Click for more details and to register. Multimedia artists Cannupa Hanska Luger and Ginger Awapuhi Dunnill are a remarkable pair. Join them as they talk about the power of two and what it means to be parents running a website for decolonized learning. Senior editor of New Mexico Magazine Alicia Inez Guzmán moderates. Click for more details and to register. 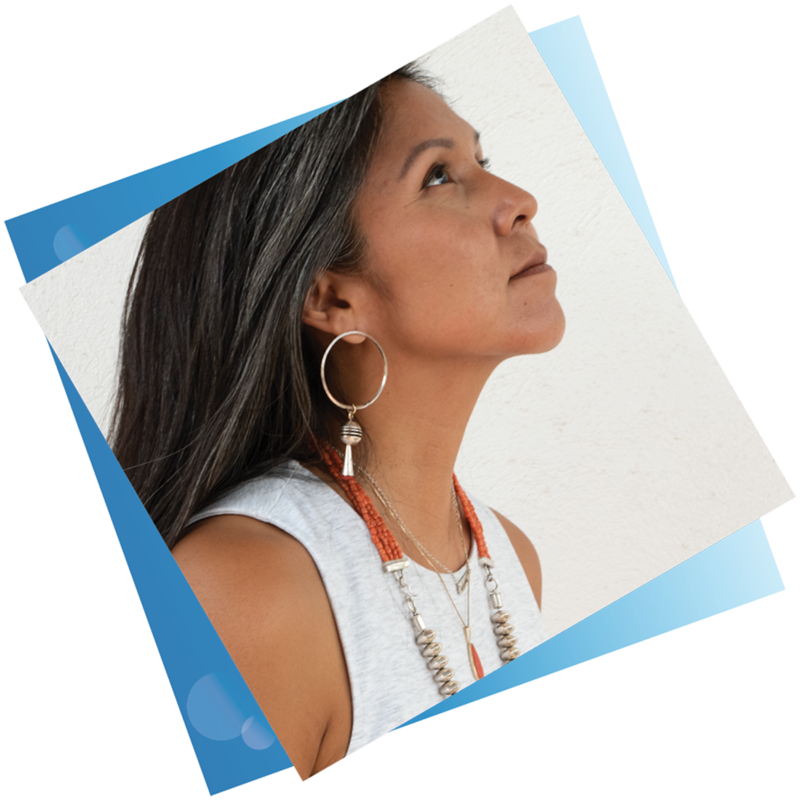 Jeweler Keri Ataumbi and beader Teri Greeves speak about the influence of their mother, have a chat about their career trajectories, the meaning of tradition, and what they hope for future generations of young artists. Close friend and fellow beader Kenneth Williams guides the conversation. Click for more details and to register. Two generations of groundbreaking artists, Potter Lonnie Vigil and clay/printmaking artist Jason Garcia, explore the transformative qualities of art through their careers and artwork with the Museum of Indian Arts & Culture’s curator Tony Chavarria. Click for more details and to register.